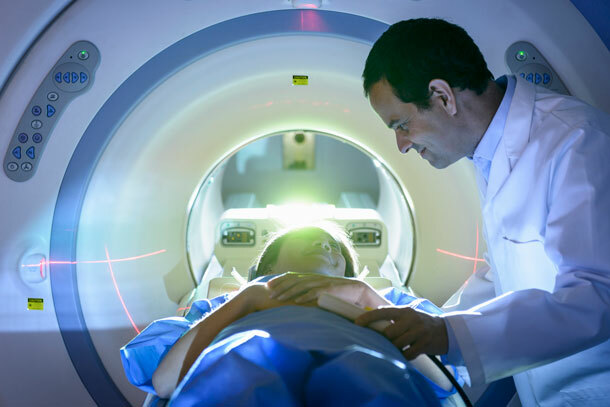 There are distinct advantages to visiting Wellington Regional Medical Center's Outpatient Diagnostic Center for imaging services, including convenience, expertise, efficiency and advanced technology. Your health is a top priority and our focus is on you. Wellington Regional Medical Center has invested in some of the most advanced technologies available in the marketplace, including imaging systems not available at many freestanding diagnostic centers. To schedule an appointment for an imaging procedure, please call 561-798-8513. The Outpatient Diagnostic Center’s physician team, Blue Radiology, is comprised of board-certified or board-eligible radiologists. Their training includes body imaging, interventional radiology, breast imaging, neuroradiology and cross-sectional imaging. Staff members deliver results as quickly as possible while providing compassionate, quality care. We understand you may be nervous about your test results. We are dedicated to doing everything we can to ease your fears by providing an efficient and caring experience. All exams are stored and read via the hospital’s Picture Archiving and Communication System (PACS). PACS enables fast electronic access to images and reports, whether your physician or the radiologist is located at the hospital, in their office or at home, 24 hours a day, seven days a week. Wellington Regional has implemented Nuance® voice recognition technology and has reduced our average report turnaround time. Many times, we can tell you before you leave if more tests will be required. Our goal is to make accurate, timely diagnoses and report results to referring physicians as quickly as possible, so that you can get on with getting well. To save time, and for your convenience, we also have the capability to share images with physician practices and other hospitals across the country. Located on the campus of Wellington Regional Medical Center, we offer ample parking with easy in and out access. Weekday and some weekend hours are available and most insurances are accepted. Should you come into the ER or require hospitalization at a later date, your past imaging studies will be right here on-hand. Patients who receive complex diagnoses will find multiple physicians and specialists on-staff at the hospital available to review and discuss your studies simultaneously from different locations, if needed. Cancer patients are offered continuity of care not available in freestanding centers — from biopsy to pathology and from surgical intervention to radiation therapy. It’s all right here, on the hospital campus. An X-Ray image is produced when a small amount of radiation passes through the body to expose sensitive film on the other side. The ability of X-rays to penetrate tissues and bones depends on the tissue's composition and mass. The difference between these two elements creates the images. Computed tomography (CT) shows organs of interest at selected levels of the body. CT examinations produce detailed organ studies by stacking individual image slices. CT can image the internal portion of organs and separate overlapping structures precisely. Like CT, MRI produces images, which are the visual equivalent of a slice of anatomy. MRI, however, is also capable of producing those images in an infinite number of projections through the body. MRI uses a large magnet and radio waves to look at organs and structures inside the body. To schedule an appointment for an imaging procedure, please call 561-798-8513. Same-day appointments are available.